5 bedroom, 1 3/4 bath house located on lots 18 & 19, W Market in Aberdeen. Zoned Residential & Multi Unit. Main floor consists of spacious living & dining room, kitchen w/eating nook & island, 2 bedrooms and 3/4 bath. Upper floor has 3 more bedrooms and very large full bath. All the flooring is newer with fresh paint interior & exterior. New roof & vinyl windows. 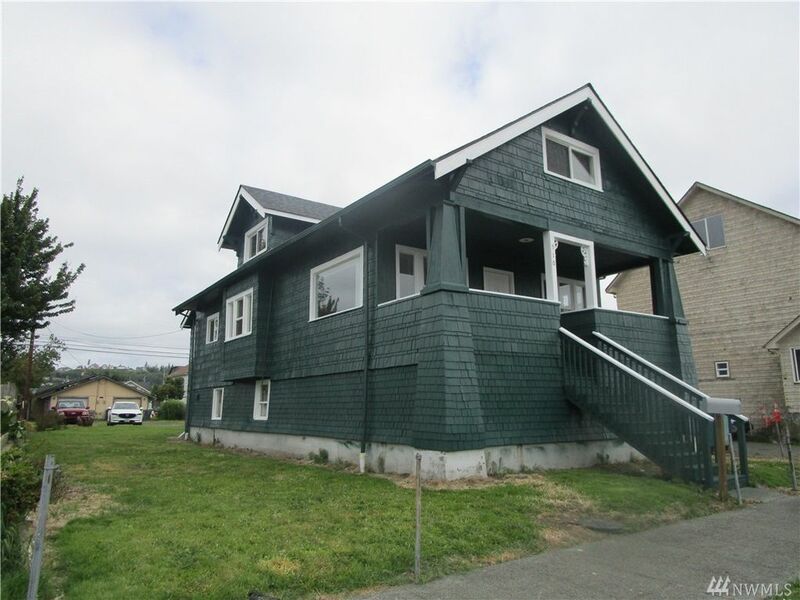 Detached single car garage & numerous parking spots off street. Covered front & back porch. Unfinished basement. Expansive yard.